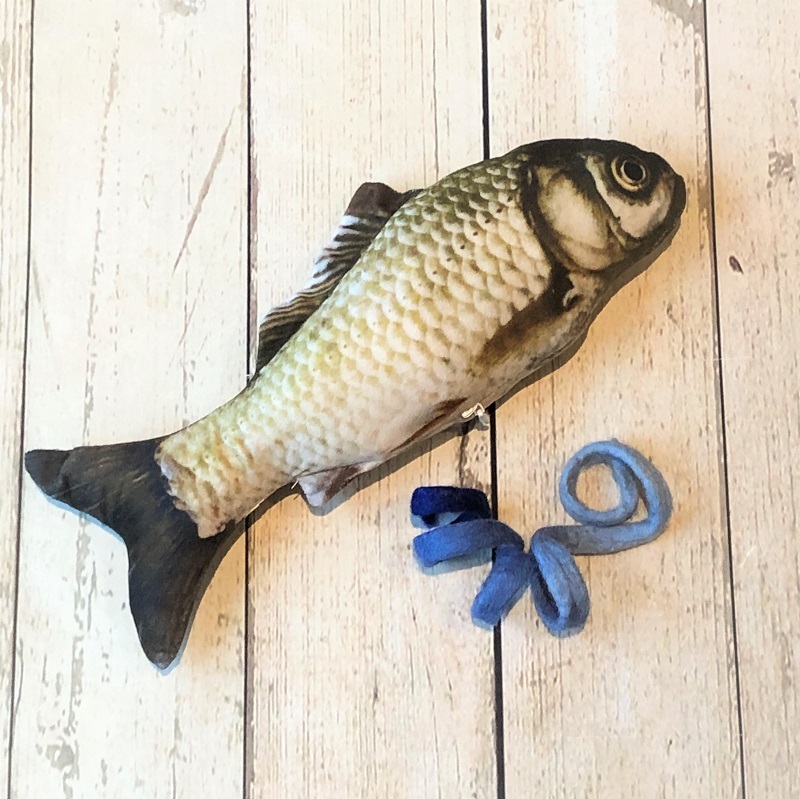 This HUGE (approx 30 cm long) realisti fish kicker toy was in the January Scandi box. Our kitties LOVED. Has a zipper so you can add additional catnip later. You can find the sprial felt toy in another listing.